Kabbalah (Hebrew: קַבָּלָה‎, literally "receiving/tradition" (also transliterated Cabala, Qabbālâ etc. ; different transliterations now tend to denote alternative traditions)) is an esoteric method, discipline, and school of thought that originated in Judaism. 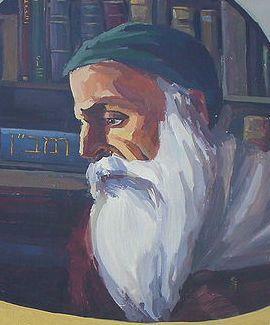 A traditional Kabbalist in Judaism is called a Mekubal (Hebrew: מְקוּבָּל‎). Kabbalah's definition varies according to the tradition and aims of those following it, from its religious origin as an integral part of Judaism, to its later Christian, New Age, and Occultist syncretic adaptations. Kabbalah is a set of esoteric teachings meant to explain the relationship between an unchanging, eternal, and mysterious Ein Sof (infinity) and the mortal and finite universe (God's creation). While it is heavily used by some denominations, it is not a religious denomination in itself. It forms the foundations of mystical religious interpretation. Kabbalah seeks to define the nature of the universe and the human being, the nature and purpose of existence, and various other ontological questions. It also presents methods to aid understanding of the concepts and thereby attain spiritual realisation. Kabbalah originally developed entirely within the realm of Jewish thought, and kabbalists often use classical Jewish sources to explain and demonstrate its esoteric teachings. These teachings are held by followers in Judaism to define the inner meaning of both the Hebrew Bible and traditional Rabbinic literature and their formerly concealed transmitted dimension, as well as to explain the significance of Jewish religious observances. Traditional practitioners believe its earliest origins pre-date world religions, forming the primordial blueprint for Creation's philosophies, religions, sciences, arts, and political systems. Historically, Kabbalah emerged, after earlier forms of Jewish mysticism, in 12th- to 13th-century Southern France and Spain, becoming reinterpreted in the Jewish mystical renaissance of 16th-century Ottoman Palestine. It was popularised in the form of Hasidic Judaism from the 18th century onwards. Twentieth-century interest in Kabbalah has inspired cross-denominational Jewish renewal and contributed to wider non-Jewish contemporary spirituality, as well as engaging its flourishing emergence and historical re-emphasis through newly established academic investigation. According to the Zohar, a foundational text for kabbalistic thought, Torah study can proceed along four levels of interpretation (exegesis). These four levels are called pardes from their initial letters (PRDS Hebrew: פרדס‎, orchard). Peshat (Hebrew: פשט‎ lit. "simple"): the direct interpretations of meaning. 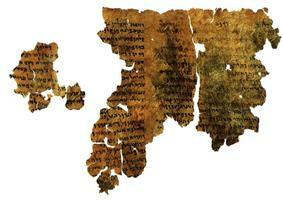 Remez (Hebrew: רמז‎ lit. "hint[s]"): the allegoric meanings (through allusion). Derash (Hebrew: דרש‎ from Heb. darash: "inquire" or "seek"): midrashic (Rabbinic) meanings, often with imaginative comparisons with similar words or verses. Sod (Hebrew: סוד‎ lit. "secret" or "mystery"): the inner, esoteric (metaphysical) meanings, expressed in kabbalah. Kabbalah is considered by its followers as a necessary part of the study of Torah – the study of Torah (the Tanakh and Rabbinic literature) being an inherent duty of observant Jews. Kabbalah teaches doctrines that are accepted by some Jews as the true meaning of Judaism while other Jews have rejected these doctrines as heretical and antithetical to Judaism. After the Medieval Kabbalah, and especially after its 16th-century development and synthesis, Kabbalah replaced Jewish philosophy (hakira) as the mainstream traditional Jewish theology, both in scholarly circles and in the popular imagination. With the arrival of modernity, through the influence of haskalah, this has changed among non-Orthodox Jewish denominations, although its 20th-century academic study and cross-denominational spiritual applications (especially through Neo-Hasidism) has reawakened a following beyond Orthodoxy. 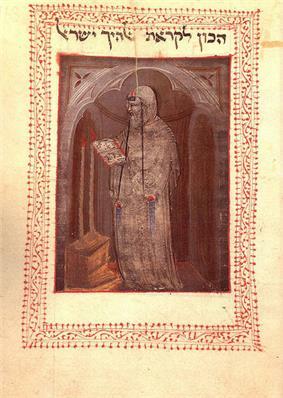 Scholars dispute whether the term "kabbalah" originated with the Jewish philosopher Solomon ibn Gabirol (1021–1058) or with the 13th-century Spanish kabbalist Bahya ben Asher. While other terms have been used in many religious documents from the 2nd century up to the present day, the term "kabbalah" has become the main descriptive of Jewish esoteric knowledge and practices. Jewish mystical literature, which served as the basis for the development of kabbalistic thought, developed through a theological tradition inherent in Judaism from Antiquity, as part of wider Rabbinic literature. Its theoretical development can be characterised in alternative schools and successive stages. After the Hebrew Bible experience of prophecy, the first documented schools of specifically mystical theory and method in Judaism are found in the 1st and 2nd centuries, described in the heichalot (supernal "palaces") texts and the earliest existent book on Jewish esotericism, Sefer Yetzirah. Their method, known as Merkabah (contemplation of the Divine "Chariot") mysticism lasted until the 10th century, where it was subsumed by the Medieval doctrinal emergence of the Kabbalah in southwestern Europe in the 12th and 13th centuries. Its teachings, embodied in the Zohar, became the foundation of later Jewish mysticism, becoming re-interpreted in the early-modern developments of 16th-century Safed in the Galilee, through the new system of Isaac Luria. Lurianic Kabbalah became popularised as a social mysticism for the whole Jewish community through 18th-century Hasidism in eastern Europe, and its new notions of mystical leadership. According to traditional belief, early kabbalistic knowledge was transmitted orally by the Patriarchs, prophets, and sages (hakhamim in Hebrew), eventually to be "interwoven" into Jewish religious writings and culture. According to this view, early kabbalah was, in around the 10th century BC, an open knowledge practiced by over a million people in ancient Israel. Foreign conquests drove the Jewish spiritual leadership of the time (the Sanhedrin) to hide the knowledge and make it secret, fearing that it might be misused if it fell into the wrong hands. The Sanhedrin leaders were also concerned that the practice of kabbalah by Jews of the Jewish diaspora, unsupervised and unguided by the masters, might lead them into wrong practice and forbidden ways. As a result, the kabbalah became secretive, forbidden and esoteric to Judaism (Torat Ha'Sod תורת הסוד) for two and a half millennia. It is hard to clarify with any degree of certainty the exact concepts within kabbalah. There are several different schools of thought with very different outlooks; however, all are accepted as correct. Modern halakhic authorities have tried to narrow the scope and diversity within kabbalah, by restricting study to certain texts, notably Zohar and the teachings of Isaac Luria as passed down through Hayyim ben Joseph Vital. However even this qualification does little to limit the scope of understanding and expression, as included in those works are commentaries on Abulafian writings, Sefer Yetzirah, Albotonian writings, and the Berit Menuhah, which is known to the kabbalistic elect and which, as described more recently by Gershom Scholem, combined ecstatic with theosophical mysticism. It is therefore important to bear in mind when discussing things such as the sefirot and their interactions that one is dealing with highly abstract concepts that at best can only be understood intuitively. From the Renaissance onwards Jewish Kabbalah texts entered non-Jewish culture, where they were studied and translated by Christian Hebraists and Hermetic occultists. Syncretic traditions of Christian Cabala and Hermetic Qabalah developed independently of Jewish Kabbalah, reading the Jewish texts as universal ancient wisdom. Both adapted the Jewish concepts freely from their Judaic understanding, to merge with other theologies, religious traditions and magical associations. With the decline of Christian Cabala in the Age of Reason, Hermetic Qabalah continued as a central underground tradition in Western esotericism. Through these non-Jewish associations with magic, alchemy and divination, Kabbalah acquired some popular occult connotations forbidden within Judaism, where Jewish theurgic Practical Kabbalah was a minor, permitted tradition restricted for a few elite. Today, many publications on Kabbalah belong to the non-Jewish New Age and occult traditions of Cabala, rather than giving an accurate picture of Judaic Kabbalah. Instead, academic and traditional publications now translate and study Judaic Kabbalah for wide readership. According to the traditional understanding, Kabbalah dates from Eden. It came down from a remote past as a revelation to elect Tzadikim (righteous people), and, for the most part, was preserved only by a privileged few. Talmudic Judaism records its view of the proper protocol for teaching this wisdom, as well as many of its concepts, in the Talmud, Tractate Hagigah, Ch.2. Contemporary scholarship suggests that various schools of Jewish esotericism arose at different periods of Jewish history, each reflecting not only prior forms of mysticism, but also the intellectual and cultural milieu of that historical period. Answers to questions of transmission, lineage, influence, and innovation vary greatly and cannot be easily summarised. Originally, Kabbalistic knowledge was believed to be an integral part of the Oral Torah, given by God to Moses on Mount Sinai around 13th century BCE, though there is a view that Kabbalah began with Adam. When the Israelites arrived at their destination and settled in Canaan, for a few centuries the esoteric knowledge was referred to by its aspect practice—meditation Hitbonenut (Hebrew: התבוננות‎), Rebbe Nachman of Breslov's Hitbodedut (Hebrew: התבודדות‎), translated as "being alone" or "isolating oneself", or by a different term describing the actual, desired goal of the practice—prophecy ("NeVu'a" Hebrew: נבואה‎). 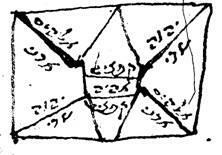 During the 5th century BCE, when the works of the Tanakh were edited and canonised and the secret knowledge encrypted within the various writings and scrolls ("Megilot"), the knowledge was referred to as Ma'aseh Merkavah (Hebrew: מעשה מרכבה‎) and Ma'aseh B'reshit (Hebrew: מעשה בראשית‎), respectively "the act of the Chariot" and "the act of Creation". Merkavah mysticism alluded to the encrypted knowledge within the book of the prophet Ezekiel describing his vision of the "Divine Chariot". B'reshit mysticism referred to the first chapter of Genesis (Hebrew: בראשית‎) in the Torah that is believed to contain secrets of the creation of the universe and forces of nature. These terms are also mentioned in the second chapter of the Talmudic tractate Haggigah. Ezekiel and Isaiah had prophetic visions of the angelic Chariot and Divine Throne. According to adherents of Kabbalah, its origin begins with secrets that God revealed to Adam. When read by later generations of Kabbalists, the Torah's description of the creation in the Book of Genesis reveals mysteries about God himself, the true nature of Adam and Eve, the Garden of Eden, the Tree of Knowledge of Good and Evil and the Tree of Life, as well as the interaction of these supernatural entities with the Serpent which leads to disaster when they eat the forbidden fruit, as recorded in Genesis 3. The Bible provides ample additional material for mythic and mystical speculation. The prophet Ezekiel's visions in particular attracted much mystical speculation, as did Isaiah's Temple vision—Isaiah, Ch.6. Jacob's vision of the ladder to heaven provided another example of esoteric experience. Moses' encounters with the Burning bush and God on Mount Sinai are evidence of mystical events in the Torah that form the origin of Jewish mystical beliefs. The 72 letter name of God which is used in Jewish mysticism for meditation purposes is derived from the Hebrew verbal utterance Moses spoke in the presence of an angel, while the Sea of Reeds parted, allowing the Hebrews to escape their approaching attackers. The miracle of the Exodus, which led to Moses receiving the Ten Commandments and the Jewish Orthodox view of the acceptance of the Torah at Mount Sinai, preceded the creation of the first Jewish nation approximately three hundred years before King Saul. In early rabbinic Judaism (the early centuries of the 1st millennium CE), the terms Ma'aseh Bereshit ("Works of Creation") and Ma'aseh Merkabah ("Works of the Divine Throne/Chariot") clearly indicate the Midrashic nature of these speculations; they are really based upon Genesis 1 and Book of Ezekiel 1:4–28, while the names Sitrei Torah (Hidden aspects of the Torah) (Talmud Hag. 13a) and Razei Torah (Torah secrets) (Ab. vi. 1) indicate their character as secret lore. An additional term also expanded Jewish esoteric knowledge, namely Chochmah Nistara (Hidden wisdom). "Four men entered pardes—Ben Azzai, Ben Zoma, Acher (Elisha ben Abuyah), and Akiba. Ben Azzai looked and died; Ben Zoma looked and went mad; Acher destroyed the plants; Akiba entered in peace and departed in peace." In notable readings of this legend, only Rabbi Akiba was fit to handle the study of mystical doctrines. The Tosafot, medieval commentaries on the Talmud, say that the four sages "did not go up literally, but it appeared to them as if they went up". On the other hand, Rabbi Louis Ginzberg, writes in the Jewish Encyclopedia (1901–1906) that the journey to paradise "is to be taken literally and not allegorically". Maimonides interprets pardes as physics and not mysticism. The mystical methods and doctrines of Hekhalot (Heavenly "Chambers") and Merkabah (Divine "Chariot") texts, named by modern scholars from these repeated motifs, lasted from the 1st century BCE through to the 10th century, before giving way to the documented manuscript emergence of Kabbalah. Initiates were said to "descend the chariot", possibly a reference to internal introspection on the Heavenly journey through the spiritual realms. The ultimate aim was to arrive before the transcendent awe, rather than nearness, of the Divine. From the 8th to 11th centuries, the Hekhalot texts, and the proto-Kabbalistic early Sefer Yetzirah ("Book of Creation") made their way into European Jewish circles. Another, separate influential mystical movement, shortly before the arrival there of Kabbalistic theory, was the "Chassidei Ashkenaz" (חסידי אשכנז) or Medieval German Pietists from 1150-1250. This ethical-ascetic movement arose mostly among a single scholarly family, the Kalonymus family of the French and German Rhineland. Modern scholars have identified several mystical brotherhoods that functioned in Europe starting in the 12th century. Some, such as the "Iyyun Circle" and the "Unique Cherub Circle", were truly esoteric, remaining largely anonymous. There were certain Rishonim ("Elder Sages") of exoteric Judaism who are known to have been experts in Kabbalah. One of the best known is Nahmanides (the Ramban) (1194–1270) whose commentary on the Torah is considered to be based on Kabbalistic knowledge. Bahya ben Asher (the Rabbeinu Behaye) (d. 1340) also combined Torah commentary and Kabbalah. 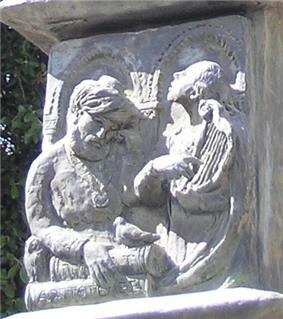 Another was Isaac the Blind (1160–1235), the teacher of Nahmanides, who is widely argued to have written the first work of classic Kabbalah, the Bahir (Book of "Brightness"). Sefer Bahir and another work, the "Treatise on the Left Emanation", probably composed in Spain by Isaac ben Isaac ha-Kohen, laid the groundwork for the composition of Sefer Zohar ("Book of Splendor/Radiance"), written by Moses de Leon and his mystical circle at the end of the 13th century but credited to the Talmudic sage Shimon bar Yochai (cf. Zohar). The Zohar proved to be the first truly "popular" work of Kabbalah, and the most influential. From the 13th century onward, Kabbalah began to be widely disseminated, and it branched out into an extensive literature. Historians in the 19th century, for example, Heinrich Graetz, argued that the emergence into public view of Jewish esotericism at this time coincides with, and represents a response to, the rising influence of the rationalist philosophy of Maimonides and his followers. Gershom Scholem sought to undermine this view as part of his resistance to seeing Kabbalah as merely a response to medieval Jewish rationalism. Arguing for a gnostic influence has to be seen as part of this strategy. More recently, Moshe Idel and Elliot Wolfson have independently argued that the impact of Maimonides can be seen in the change from orality to writing in the 13th century. That is, Kabbalists committed to writing many of their oral traditions in part as a response to the attempt of Maimonides to explain the older esoteric subjects philosophically. Many Orthodox Jews reject the idea that Kabbalah underwent significant historical development or change such as has been proposed above. After the composition known as the Zohar was presented to the public in the 13th century, the term "Kabbalah" began to refer more specifically to teachings derived from, or related to, the Zohar. At an even later time, the term began to generally be applied to Zoharic teachings as elaborated upon by Isaac Luria Arizal. Historians generally date the start of Kabbalah as a major influence in Jewish thought and practice with the publication of the Zohar and climaxing with the spread of the Arizal's teachings. The majority of Haredi Jews accept the Zohar as the representative of the Ma'aseh Merkavah and Ma'aseh B'reshit that are referred to in Talmudic texts. Following the upheavals and dislocations in the Jewish world as a result of anti-Judaism during the Middle Ages, and the national trauma of the expulsion from Spain in 1492, closing the Spanish Jewish flowering, Jews began to search for signs of when the long-awaited Jewish Messiah would come to comfort them in their painful exiles. In the 1500s the community of Safed in the Galilee became the centre of Jewish mystical, exegetical, legal and liturgical developments. The Safed mystics responded to the Spanish expulsion by turning Kabbalistic doctrine and practice towards a messianic focus. Moses Cordovero and his school popularized the teachings of the Zohar which had until then been only a restricted work. Cordovero's comprehensive works achieved the systemisation of preceding Kabbalah. 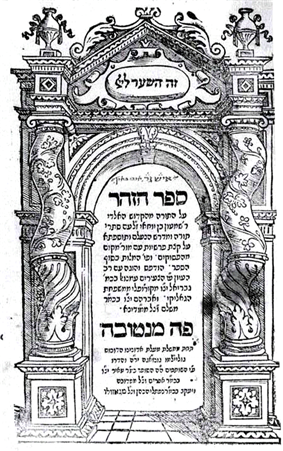 The author of the Shulkhan Arukh (the normative Jewish "Code of Law"), Rabbi Yosef Karo (1488–1575), was also a scholar of Kabbalah who kept a personal mystical diary. Moshe Alshich wrote a mystical commentary on the Torah, and Shlomo Alkabetz wrote Kabbalistic commentaries and poems. The messianism of the Safed mystics culminated in Kabbalah receiving its biggest transformation in the Jewish world with the explication of its new interpretation from Rabbi Isaac Luria (1534–1572), by his disciples Hayim Vital and Israel Sarug. Both transcribed Luria's teachings (in variant forms) gaining them widespread popularity, Sarug taking Lurianic Kabbalah to Europe, Vital authoring the latterly canonical version. Luria's teachings came to rival the influence of the Zohar and Luria stands, alongside Moses de Leon, as the most influential mystic in Jewish history. "I have seen it written that the prohibition from Above to refrain from open study in the wisdom of truth was only for a limited period, until the end of 1490, but from then on the prohibition has been lifted and permission was granted to study the Zohar. Since 1540 it has been a great Mitzva (commandment) for the masses to study in public, old and young... and that is because the Messiah will come because of that and not because of any other reason. Therefore, we must not be negligent." The ban on studying Kabbalah was lifted by the efforts of the 16th-century kabbalist Rabbi Avraham Azulai (1570–1643). "I have found it written that all that has been decreed Above forbidding open involvement in the Wisdom of Truth [Kabbalah] was [only meant for] the limited time period until the year 5,250 (1490 C.E.). From then on after is called the "Last Generation", and what was forbidden is [now] allowed. And permission is granted to occupy ourselves in the [study of] Zohar. And from the year 5,300 (1540 C.E.) it is most desirable that the masses both those great and small [in Torah], should occupy themselves [in the study of Kabbalah], as it says in the Raya M'hemna [a section of the Zohar]. And because in this merit King Mashiach will come in the future—and not in any other merit—it is not proper to be discouraged [from the study of Kabbalah]." "From the year 1540 and onward, the basic levels of Kabbalah must be taught publicly to everyone, young and old. Only through Kabbalah will we forever eliminate war, destruction, and man's inhumanity to his fellow man." The lines concerning the year 1490 are also missing from the Hebrew edition of Hesed L'Avraham, the source work that both of these quote from. Furthermore, by Azulai's view the ban was lifted thirty years before his birth, a time that would have corresponded with Haim Vital's publication of the teaching of Isaac Luria. Moshe Isserles understood there to be only a minor restriction, in his words, "One's belly must be full of meat and wine, discerning between the prohibited and the permitted." He is supported by the Bier Hetiv, the Pithei Teshuva as well as the Vilna Gaon. The Vilna Gaon says, "There was never any ban or enactment restricting the study of the wisdom of Kabbalah. Any who says there is has never studied Kabbalah, has never seen PaRDeS, and speaks as an ignoramus." The Kabbalah of the Sefardi (Portuguese or Spanish) and Mizrahi (Middle East, North Africa, and the Caucasus) Torah scholars has a long history. Kabbalah in various forms was widely studied, commented upon, and expanded by North African, Turkish, Yemenite, and Asian scholars from the 16th century onward. 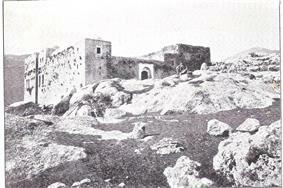 It flourished among Sefardic Jews in Tzfat (Safed), Israel even before the arrival of Isaac Luria. Yosef Karo, author of the Shulchan Arukh was part of the Tzfat school of Kabbalah. 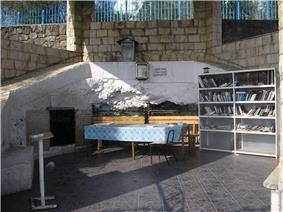 Shlomo Alkabetz, author of the hymn Lekhah Dodi, taught there. His disciple Moses ben Jacob Cordovero authored Eliyahu De Vidas authored the classic work, Reishit Chochma, combining kabbalistic and mussar (moral) teachings. Chaim Vital also studied under Cordovero, but with the arrival of Luria became his main disciple. Vital claimed to be the only one authorised to transmit the Ari's teachings, though other disciples also published books presenting Luria's teachings. The Oriental Kabbalist tradition continues until today among Sephardi and Mizrachi Hakham sages and study circles. Among leading figures were the Yemenite Shalom Sharabi (1720–1777) of the Beit El Synagogue, the Jerusalemite Hida (1724–1806), the Baghdad leader Ben Ish Chai (1832–1909), and the Abuhatzeira dynasty. One of the most innovative theologians in early-modern Judaism was Judah Loew ben Bezalel (1525–1609) known as the "Maharal of Prague". Many of his written works survive and are studied for their unusual combination of the mystical and philosophical approaches in Judaism. While conversant in Kabbalistic learning, he expresses Jewish mystical thought in his own individual approach without reference to Kabbalistic terms. The Maharal is most well known in popular culture for the legend of the golem of Prague, associated with him in folklore. However, his thought influenced Hasidism, for example being studied in the introspective Przysucha school. During the 20th century, Isaac Hutner (1906–1980) continued to spread the Maharal's works indirectly through his own teachings and publications within the non-Hasidic yeshiva world. The spiritual and mystical yearnings of many Jews remained frustrated after the death of Isaac Luria and his disciples and colleagues. 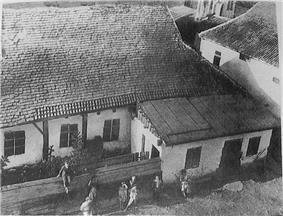 No hope was in sight for many following the devastation and mass killings of the pogroms that followed in the wake of the Chmielnicki Uprising (1648–1654), the largest single massacre of Jews until the Holocaust, and it was at this time that a controversial scholar by the name of Sabbatai Zevi (1626–1676) captured the hearts and minds of the Jewish masses of that time with the promise of a newly minted messianic Millennialism in the form of his own personage. His charisma, mystical teachings that included repeated pronunciations of the holy Tetragrammaton in public, tied to an unstable personality, and with the help of his greatest enthusiast, Nathan of Gaza, convinced the Jewish masses that the Jewish Messiah had finally come. It seemed that the esoteric teachings of Kabbalah had found their "champion" and had triumphed, but this era of Jewish history unravelled when Zevi became an apostate to Judaism by converting to Islam after he was arrested by the Ottoman Sultan and threatened with execution for attempting a plan to conquer the world and rebuild the Temple in Jerusalem. Unwilling to give up their messianic expectations, a minority of Zvi's Jewish followers converted to Islam along with him. Many of his followers, known as Sabbatians, continued to worship him in secret, explaining his conversion not as an effort to save his life but to recover the sparks of the holy in each religion, and most leading rabbis were always on guard to root them out. The Donmeh movement in modern Turkey is a surviving remnant of the Sabbatian schism. Due to the chaos caused in the Jewish world, the Rabbinic prohibition against studying Kabbalah established itself firmly within the Jewish religion. One of the conditions allowing a man to study and engage himself in the Kabbalah was to be of age forty. This age requirement came about during this period and is not Talmudic in origin but Rabbinic. Many Jews are familiar with this ruling, but are not aware of its origins. Moreover, the prohibition is not halakhic in nature. According to Moses Cordovero, halakhically, one must be of age twenty to engage in the Kabbalah. Many famous kabbalists, including the ARI, Rabbi Nachman of Breslov, Yehuda Ashlag, were younger than twenty when they began. The Sabbatian movement was followed by that of the Frankists who were disciples of Jacob Frank (1726–1791) who eventually became an apostate to Judaism by apparently converting to Catholicism. This era of disappointment did not stem the Jewish masses' yearnings for "mystical" leadership. Rabbi Moshe Chaim Luzzatto (1707–1746), based in Italy, was a precocious Talmudic scholar who deduced a need for the public teaching and study of Kabbalah. He established a yeshiva for Kabbalah study and actively recruited students. He wrote copious manuscripts in an appealing clear Hebrew style, all of which gained the attention of both admirers and rabbinical critics, who feared another "Shabbetai Zevi (false messiah) in the making". His rabbinical opponents forced him to close his school, hand over and destroy many of his most precious unpublished kabbalistic writings, and go into exile in the Netherlands. He eventually moved to the Land of Israel. Some of his most important works, such as Derekh Hashem, survive and are used as a gateway to the world of Jewish mysticism. 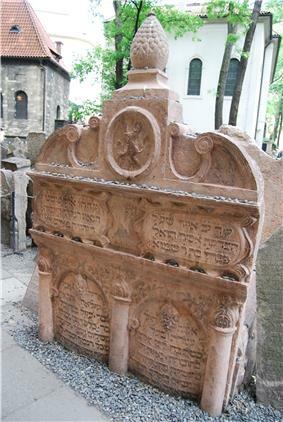 Rabbi Elijah of Vilna (Vilna Gaon) (1720–1797), based in Lithuania, had his teachings encoded and publicised by his disciples, such as Rabbi Chaim Volozhin, who (poshumously) published the mystical-ethical work Nefesh HaChaim. He staunchly opposed the new Hasidic movement and warned against their public displays of religious fervour inspired by the mystical teachings of their rabbis. Although the Vilna Gaon did not look with favor on the Hasidic movement, he did not prohibit the study and engagement in the Kabbalah. This is evident from his writings in the Even Shlema. "He that is able to understand secrets of the Torah and does not try to understand them will be judged harshly, may God have mercy". (The Vilna Gaon, Even Shlema, 8:24). "The Redemption will only come about through learning Torah, and the essence of the Redemption depends upon learning Kabbalah" (The Vilna Gaon, Even Shlema, 11:3). In the Oriental tradition of Kabbalah, Shalom Sharabi (1720–1777) from Yemen was a major esoteric clarifier of the works of the Ari. The Beit El Synagogue, "yeshivah of the kabbalists", which he came to head, was one of the few communities to bring Lurianic meditation into communal prayer. In the 20th century, Yehuda Ashlag (1885—1954) in Mandate Palestine became a leading esoteric kabbalist in the traditional mode, who translated the Zohar into Hebrew with a new approach in Lurianic Kabbalah. Rebbe Nachman of Breslov (1772–1810), the great-grandson of the Baal Shem Tov, revitalised and further expanded the latter's teachings, amassing a following of thousands in Ukraine, Belarus, Lithuania and Poland. In a unique amalgam of Hasidic and Mitnagid approaches, Rebbe Nachman emphasised study of both Kabbalah and serious Torah scholarship to his disciples. His teachings also differed from the way other Hasidic groups were developing, as he rejected the idea of hereditary Hasidic dynasties and taught that each Hasid must "search for the tzaddik ('saintly/righteous person')" for himself and within himself. The Habad-Lubavitch intellectual school of Hasidism broke away from General-Hasidism's emotional faith orientation, by making the mind central as the route to the internal heart. Its texts combine what they view as rational investigation with explanation of Kabbalah through articulating unity in a common Divine essence. In recent times, the messianic element latent in Hasidism has come to the fore in Habad. The Rohr Jewish Learning Institute teaches classes mysticism and emotional happiness based on the wisdom of the Kabbalah and Chabad. Jewish mysticism has influenced the thought of some major Jewish theologians in the 20th century, outside of Kabbalistic or Hasidic traditions. The first Chief Rabbi of Mandate Palestine, Abraham Isaac Kook was a mystical thinker who drew heavily on Kabbalistic notions through his own poetic terminology. His writings are concerned with fusing the false divisions between sacred and secular, rational and mystical, legal and imaginative. Students of Joseph B. Soloveitchik, figurehead of American Modern Orthodox Judaism have read the influence of Kabbalistic symbols in his philosophical works. Neo-Hasidism, rather than Kabbalah, shaped Martin Buber's philosophy of dialogue and Abraham Joshua Heschel's Conservative Judaism. Lurianic symbols of Tzimtzum and Shevirah have informed Holocaust theologians. The nature of the Divine prompted kabbalists to envision two aspects to God: (a) God in essence, absolutely transcendent, unknowable, limitless Divine simplicity, and (b) God in manifestation, the revealed persona of God through which He creates and sustains and relates to mankind. Kabbalists speak of the first as Ein/Ayn Sof (אין סוף "the infinite/endless", literally "that which has no limits"). Of the impersonal Ein Sof nothing can be grasped. The second aspect of Divine emanations, however, are accessible to human perception, dynamically interacting throughout spiritual and physical existence, reveal the Divine immanently, and are bound up in the life of man. Kabbalists believe that these two aspects are not contradictory but complement one another, emanations revealing the concealed mystery from within the Godhead. "At the very beginning the King made engravings in the supernal purity. A spark of blackness emerged in the sealed within the sealed, from the mystery of the Ayn Sof, a mist within matter, implanted in a ring, no white, no black, no red, no yellow, no colour at all. When He measured with the standard of measure, He made colours to provide light. Within the spark, in the innermost part, emerged a source, from which the colours are painted below; it is sealed among the sealed things of the mystery of Ayn Sof. It penetrated, yet did not penetrate its air. It was not known at all until, from the pressure of its penetration, a single point shone, sealed, supernal. Beyond this point nothing is known, so it is called reishit (beginning): the first word of all...""
The structure of emanations has been described in various ways: Sefirot (Divine attributes) and Partzufim (Divine "faces"), Ohr (spiritual light and flow), Names of God and the supernal Torah, Olamot (Spiritual Worlds), a Divine Tree and Archetypal Man, Angelic Chariot and Palaces, male and female, enclothed layers of reality, inwardly holy vitality and external Kelipot shells, 613 channels ("limbs" of the King) and the Divine souls in man. These symbols are used to describe various parts and aspects of the model. The Sephirot (also spelled "sephiroth") (singular sefirah) are the ten emanations and attributes of God with which he continually sustains the universe in existence. The Zohar and other formative texts elaborate on their emergence from concealment and potential in the infinite unity of the Ein Sof. Cordovero systemises them as one light poured into ten created vessels. 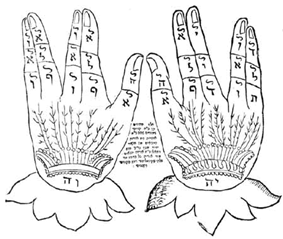 Comparison of his counting with Luria's, describes dual rational and unconscious aspects of Kabbalah. Two metaphors are used to describe the sephirot, their theocentric manifestation as the Trees of Life and Knowledge, and their anthropocentric correspondence in man, exemplified as Adam Kadmon. This dual-directional perspective embodies the cyclical, inclusive nature of the divine flow, where alternative divine and human perspectives have validity. The central metaphor of man allows human understanding of the sephirot, as they correspond to the psychological faculties of the soul, and incorporate masculine and feminine aspects after Genesis 1:27 ("God created man in His own image, in the image of God He created him, male and female He created them"). Corresponding to the last sefirah in Creation is the indwelling shekhinah (Feminine Divine Presence). Downward flow of divine Light in Creation forms the supernal Four Worlds; Atziluth, Beri'ah, Yetzirah and Assiah manifesting the dominance of successive sephirot towards action in this world. The acts of man unite or divide the Heavenly masculine and feminine aspects of the sephirot, their anthropomorphic harmony completing Creation. As the spiritual foundation of Creation, the sephirot correspond to the names of God in Judaism and the particular nature of any entity. According to Lurianic cosmology, the sefirot correspond to various levels of creation (ten sefirot in each of the Four Worlds, and four worlds within each of the larger four worlds, each containing ten sefirot, which themselves contain ten sefirot, to an infinite number of possibilities), and are emanated from the Creator for the purpose of creating the universe. The sefirot are considered revelations of the Creator's will (ratzon), and they should not be understood as ten different "gods" but as ten different ways the one God reveals his will through the Emanations. It is not God who changes but the ability to perceive God that changes. "Righteous" humans (tzadikim) ascend these ethical qualities of the ten sefirot by doing righteous actions. If there were no righteous humans, the blessings of God would become completely hidden, and creation would cease to exist. While real human actions are the "Foundation" (Yesod) of this universe (Malchut), these actions must accompany the conscious intention of compassion. Compassionate actions are often impossible without faith (Emunah), meaning to trust that God always supports compassionate actions even when God seems hidden. Ultimately, it is necessary to show compassion toward oneself too in order to share compassion toward others. This "selfish" enjoyment of God's blessings but only in order to empower oneself to assist others is an important aspect of "Restriction", and is considered a kind of golden mean in kabbalah, corresponding to the sefirah of Adornment (Tiferet) being part of the "Middle Column". Moses ben Jacob Cordovero, wrote Tomer Devorah (Palm Tree of Deborah), he presents an ethical teaching of Judaism in the kabbalistic context of the ten sefirot. Tomer Devorah has become also a foundational Musar text. Medieval Kabbalists believed that all things are linked to God through these emanations, making all levels in creation part of one great, gradually descending chain of being. Through this any lower creation reflects its particular characteristics in Supernal Divinity. Hasidic thought extends the Divine immanence of Kabbalah by holding that God is all that really exists, all else being completely undifferentiated from God's perspective. This view can be defined as monistic panentheism. According to this philosophy, God's existence is higher than anything that this world can express, yet he includes all things of this world within his Divine reality in perfect unity, so that the Creation effected no change in him at all. This paradox is dealt with at length in Chabad texts. Among problems considered in the Hebrew Kabbalah is the theological issue of the nature and origin of evil. In the views of some Kabbalists this conceives 'evil' as a 'quality of God', asserting that negativity enters into the essence of the Absolute. In this view it is conceived that the Absolute needs evil to 'be what it is', i.e., to exist. Foundational texts of Medieval Kabbalism conceived evil as a demonic parallel to the holy, called the Sitra Achra (the "Other Side"), and the Kelipot/Qliphoth (the "Shells/Husks") that cover and conceal the holy, are nurtured from it, and yet also protect it by limiting its revelation. Scholem termed this element of the Spanish Kabbalah a "Jewish gnostic" motif, in the sense of dual powers in the divine realm of manifestation. In a radical notion, the root of evil is found within the 10 holy Sephirot, through an imbalance of Gevurah, the power of "Strength/Judgement/Severity". Gevurah is necessary for Creation to exist as it counterposes Chesed ("loving-kindness"), restricting the unlimited divine bounty within suitable vessels, so forming the Worlds. However, if man sins (actualising impure judgement within his soul), the supernal Judgement is reciprocally empowered over the Kindness, introducing disharmony among the Sephirot in the divine realm and exile from God throughout Creation. The demonic realm, though illusory in its holy origin, becomes the real apparent realm of impurity in lower Creation. Kabbalistic doctrine gives man the central role in Creation, as his soul and body correspond to the supernal divine manifestations. In the Christian Kabbalah this scheme was universalised to describe harmonia mundi, the harmony of Creation within man. In Judaism, it gave a profound spiritualisation of Jewish practice. While the kabbalistic scheme gave a radically innovative, though conceptually continuous, development of mainstream Midrashic and Talmudic Rabbinic notions, kabbalistic thought underscored and invigorated conservative Jewish observance. The esoteric teachings of kabbalah gave the traditional mitzvot observances the central role in spiritual creation, whether the practitioner was learned in this knowledge or not. Accompanying normative Jewish observance and worship with elite mystical kavanot intentions gave them theurgic power, but sincere observance by common folk, especially in the Hasidic popularisation of kabbalah, could replace esoteric abilities. Many kabbalists were also leading legal figures in Judaism, such as Nachmanides and Joseph Karo. Medieval kabbalah elaborates particular reasons for each Biblical mitzvah, and their role in harmonising the supernal divine flow, uniting masculine and feminine forces on High. With this, the feminine Divine presence in this world is drawn from exile to the Holy One Above. The 613 mitzvot are embodied in the organs and soul of man. Lurianic kabbalah incorporates this in the more inclusive scheme of Jewish messianic rectification of exiled divinity. Jewish mysticism, in contrast to Divine transcendence rationalist human-centred reasons for Jewish observance, gave Divine-immanent providential cosmic significance to the daily events in the worldly life of man in general, and the spiritual role of Jewish observance in particular. Nefesh (נפש): the lower part, or "animal part", of the soul. It is linked to instincts and bodily cravings. This part of the soul is provided at birth. Ruach (רוח): the middle soul, the "spirit". It contains the moral virtues and the ability to distinguish between good and evil. Neshamah (נשמה): the higher soul, or "super-soul". This separates man from all other life-forms. It is related to the intellect and allows man to enjoy and benefit from the afterlife. It allows one to have some awareness of the existence and presence of God. The Raaya Meheimna, a section of related teachings spread throughout the Zohar, discusses fourth and fifth parts of the human soul, the chayyah and yehidah (first mentioned in the Midrash Rabbah). Gershom Scholem writes that these "were considered to represent the sublimest levels of intuitive cognition, and to be within the grasp of only a few chosen individuals". The Chayyah and the Yechidah do not enter into the body like the other three—thus they received less attention in other sections of the Zohar. Chayyah (חיה): The part of the soul that allows one to have an awareness of the divine life force itself. Yehidah (יחידה): The highest plane of the soul, in which one can achieve as full a union with God as is possible. Ruach HaKodesh (רוח הקודש) ("spirit of holiness"): a state of the soul that makes prophecy possible. Since the age of classical prophecy passed, no one (outside of Israel) receives the soul of prophecy any longer. Neshamah Yeseira: The "supplemental soul" that a Jew can experience on Shabbat. It makes possible an enhanced spiritual enjoyment of the day. This exists only when one is observing Shabbat; it can be lost and gained depending on one's observance. Neshamah Kedosha: Provided to Jews at the age of maturity (13 for boys, 12 for girls) and is related to the study and fulfillment of the Torah commandments. It exists only when one studies and follows the Torah; it can be lost and gained depending on one's study and observance. Reincarnation, the transmigration of the soul after death, was introduced into Judaism as a central esoteric tenet of Kabbalah from the Medieval period onwards, called Gilgul neshamot ("Cycles of the soul"). The concept does not appear overtly in the Hebrew Bible or classic Rabbinic literature, and was rejected by various Medieval Jewish philosophers. However, the Kabbalists explained a number of scriptural passages in reference to Gilgulim. The concept became central to the later Kabbalah of Isaac Luria, who systemised it as the personal parallel to the cosmic process of rectification. Through Lurianic Kabbalah and Hasidic Judaism, reincarnation entered popular Jewish culture as a literary motif. After publication of the Zohar in the late 13th century, attempts were made to interpret and systemise the doctrines within its imagery. This culminated in the successive, comprehensive expositions of Cordovero and Luria in 16th century Safed. 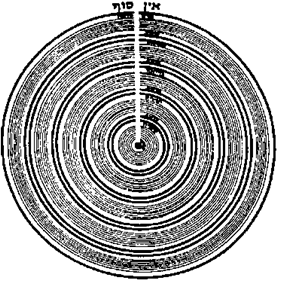 While Cordovero systemised Medieval kabbalah in a rationally influenced linear scheme, this was subsequently superseded by the mythological, dynamic scheme of Isaac Luria, recorded by Chaim Vital and his other disciples. Lurianic theosophy became the foundation of modern kabbalah, incorporating Medieval theosophy within its wider explanation. The supra-rational Lurianic doctrines of Tzimtzum, Shevirah and Tikun reorganised Kabbalistic doctrine around crisis-catharsis Divine exile and redemption, explaining Jewish messianism in Kabbalah. Tzimtzum (Constriction/Concentration) is the primordial cosmic act whereby God "contracted" His infinite light, leaving a "void" into which the light of existence was poured. This allowed the emergence of independent existence that would not become nullified by the pristine Infinite Light, reconciling the unity of the Ein Sof with the plurality of creation. This changed the first creative act into one of withdrawal/exile, the antithesis of the ultimate Divine Will. In contrast, a new emanation after the Tzimtzum shone into the vacuum to begin creation, but led to an initial instability called Tohu (Chaos), leading to a new crisis of Shevirah (Shattering) of the sephirot vessels. The shards of the broken vessels fell down into the lower realms, animated by remnants of their divine light, causing primordial exile within the Divine Persona before the creation of man. Exile and enclothement of higher divinity within lower realms throughout existence requires man to complete the anthropomorphism of the partzufim accentuates the sexual unifications of the redemption process, while Gilgul reincarnation emerges from the scheme. Uniquely, Lurianism gave formerly private mysticism the urgency of Messianic social involvement. According to interpretations of Luria, the catastrophe stemmed from the "unwillingness" of the residue imprint after the Tzimtzum to relate to the new vitality that began creation. The process was arranged to shed and harmonise the Divine Infinity with the latent potential of evil. The creation of Adam would have redeemed existence, but his sin caused new shevirah of Divine vitality, requiring the Giving of the Torah to begin Messianic rectification. Historical and individual history becomes the narrative of reclaiming exiled Divine sparks. Kabbalistic thought extended Biblical and Midrashic notions that God enacted Creation through the Hebrew language and through the Torah into a full linguistic mysticism. In this, every Hebrew letter, word, number, even accent on words of the Hebrew Bible contain esoteric meanings, describing the spiritual dimensions within exoteric ideas, and it teaches the hermeneutic methods of interpretation for ascertaining these meanings. Names of God in Judaism have further prominence, though fluidity of meaning turns the whole Torah into a Divine name. As the Hebrew name of things is the channel of their lifeforce, parallel to the sephirot, so concepts such as "holiness" and "mitzvot" embody ontological Divine immanence, as God can be known in manifestation as well as transcendence. The infinite potential of meaning in the Torah, as in the Ein Sof, is reflected in the symbol of the two trees of the Garden of Eden; the Torah of the Tree of Knowledge is the external, Halachic Torah, through which mystics can perceive the unlimited Torah of the Tree of Life. In Lurianic expression, each of the 600,000 souls of Israel find their own interpretation in Torah. "The reapers of the Field are the Comrades, masters of this wisdom, because Malkhut is called the Apple Field, and She grows sprouts of secrets and new meanings of Torah. Those who constantly create new interpretations of Torah are the ones who reap Her." As early as the 1st century BCE Jews believed that the Torah (first five books of the Hebrew Bible) and wider canonical texts contained encoded messages and hidden meanings. Gematria is one method for discovering its hidden meanings. Each letter in Hebrew also represents a number; Hebrew, unlike many other languages, never developed a separate numerical alphabet. By converting letters to numbers, Kabbalists were able to find a hidden meaning in each word. This method of interpretation was used extensively by various schools. Like the rest of the Rabbinic literature, the texts of kabbalah were once part of an ongoing oral tradition, though, over the centuries, much of the oral tradition has been written down. Jewish forms of esotericism existed over 2,000 years ago. Ben Sira (born c. 170 BCE) warns against it, saying: "You shall have no business with secret things". Nonetheless, mystical studies were undertaken and resulted in mystical literature, the first being the Apocalyptic literature of the second and first pre-Christian centuries and which contained elements that carried over to later kabbalah. Throughout the centuries since, many texts have been produced, among them the ancient descriptions of Sefer Yetzirah, the Heichalot mystical ascent literature, the Bahir, Sefer Raziel HaMalakh and the Zohar, the main text of Kabbalistic exegesis. Classic mystical Bible commentaries are included in fuller versions of the Mikraot Gedolot (Main Commentators). Cordoveran systemisation is presented in Pardes Rimonim, philosophical articulation in the works of the Maharal, and Lurianic rectification in Etz Chayim. Subsequent interpretation of Lurianic Kabbalah was made in the writings of Shalom Sharabi, in Nefesh HaChaim and the 20th-century Sulam. Hasidism interpreted kabbalistic structures to their correspondence in inward perception. The Hasidic development of kabbalah incorporates a successive stage of Jewish mysticism from historical kabbalistic metaphysics. The first modern-academic historians of Judaism, the "Wissenschaft des Judentums" school of the 19th century, framed Judaism in solely rational terms in the emancipatory Haskalah spirit of their age. They opposed kabbalah and restricted its significance from Jewish historiography. In the mid-20th century, it was left to Gershom Scholem to overturn their stance, establishing the flourishing present-day academic investigation of Jewish mysticism, and making Heichalot, Kabbalistic and Hasidic texts the objects of scholarly critical-historical study. In Scholem's opinion, the mythical and mystical components of Judaism were at least as important as the rational ones, and he thought that they, rather than the exoteric Halakha, were the living current in historical Jewish development. The Hebrew University of Jerusalem has been a centre of this research, including Scholem and Isaiah Tishby, and more recently Joseph Dan, Yehuda Liebes, Rachel Elior, and Moshe Idel. Scholars across the eras of Jewish mysticism in America and Britain have included Arthur Green, Lawrence Fine, Elliot Wolfson, Daniel Matt and Ada Rapoport-Albert. Scholars in the present generation have revised early theories including Scholem's, on such questions as Heichalot mysticism and a Jewish "gnosticism", the origins of Kabbalah, and the sources of Hasidism. Moshe Idel has opened up research on the Ecstatic Kabbalah alongside the theosophical, and has called for new multi-disciplinary approaches, beyond the philological and historical that have dominated until now, to include phenomenology, psychology, anthropology and comparative studies. Historians have noted that most claims for the authority of kabbalah involve an argument of the antiquity of authority (see, e.g., Joseph Dan's discussion in his Circle of the Unique Cherub). As a result, virtually all early foundational works pseudepigraphically claim, or are ascribed, ancient authorship. For example, Sefer Raziel HaMalach, an astro-magical text partly based on a magical manual of late antiquity, Sefer ha-Razim, was, according to the kabbalists, transmitted by the angel Raziel to Adam after he was evicted from Eden. Another famous work, the early Sefer Yetzirah, supposedly dates back to the patriarch Abraham. 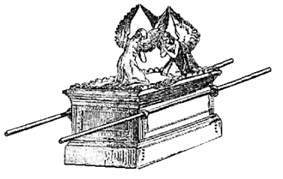 This tendency toward pseudepigraphy has its roots in apocalyptic literature, which claims that esoteric knowledge such as magic, divination and astrology was transmitted to humans in the mythic past by the two angels, Aza and Azaz'el (in other places, Azaz'el and Uzaz'el) who fell from heaven (see Genesis 6:4). Although Kabbalah propounds the Unity of God, one of the most serious and sustained criticisms is that it may lead away from monotheism, and instead promote dualism, the belief that there is a supernatural counterpart to God. The dualistic system holds that there is a good power versus an evil power. There are two primary models of Gnostic-dualistic cosmology: the first, which goes back to Zoroastrianism, believes creation is ontologically divided between good and evil forces; the second, found largely in Greco-Roman metaphysics like Neo-Platonism, argues that the universe knew a primordial harmony, but that a cosmic disruption yielded a second, evil, dimension to reality. This second model influenced the cosmology of the Kabbalah. According to Kabbalistic cosmology, the Ten Sefirot correspond to ten levels of creation. These levels of creation must not be understood as ten different "gods" but as ten different ways of revealing God, one per level. It is not God who changes but the ability to perceive God that changes. While God may seem to exhibit dual natures (masculine-feminine, compassionate-judgmental, creator-creation), all adherents of Kabbalah have consistently stressed the ultimate unity of God. For example, in all discussions of Male and Female, the hidden nature of God exists above it all without limit, being called the Infinite or the "No End" (Ein Sof)—neither one nor the other, transcending any definition. The ability of God to become hidden from perception is called "Restriction" (Tzimtzum). Hiddenness makes creation possible because God can become "revealed" in a diversity of limited ways, which then form the building blocks of creation. Kabbalistic texts, including the Zohar, appear to affirm dualism, as they ascribe all evil to the separation from holiness known as the Sitra Achra ("the other side") which is opposed to Sitra D'Kedushah, or the Side of Holiness. The "left side" of divine emanation is a negative mirror image of the "side of holiness" with which it was locked in combat. [Encyclopaedia Judaica, Volume 6, "Dualism", p. 244]. While this evil aspect exists within the divine structure of the Sefirot, the Zohar indicates that the Sitra Ahra has no power over Ein Sof, and only exists as a necessary aspect of the creation of God to give man free choice, and that evil is the consequence of this choice. It is not a supernatural force opposed to God, but a reflection of the inner moral combat within mankind between the dictates of morality and the surrender to one's basic instincts. Rabbi Dr. David Gottlieb notes that many Kabbalists hold that the concepts of, e.g., a Heavenly Court or the Sitra Ahra are only given to humanity by God as a working model to understand His ways within our own epistemological limits. They reject the notion that a satan or angels actually exist. Others hold that non-divine spiritual entities were indeed created by God as a means for exacting his will. A number of medieval Kabbalistic sources contain statements to the effect that the Jewish soul is ontologically different from the soul of non-Jews; for example, it is held by some that Jews have three levels of soul, nefesh, ruach and neshamah while non-Jews have only nefesh. The Zohar comments on the Biblical verse which states "Let the waters teem with swarms of creatures that have a living soul" as follows: "The verse 'creatures that have a living soul,' pertains to the Jews, for they are the children of God, and from God come their holy souls....And the souls of the other nations, from where do they come? Rabbi Elazar says that they have souls from the impure left side, and therefore they are all impure, defiling anyone who comes near them" (Zohar commentary on Genesis). Such theologically framed hostility may have been a response to some medieval demonization of Jews which developed in some parts of Western and Christian society and thought, starting with the Patristic writings. According to Isaac Luria (1534–72) and other commentators on the Zohar, righteous Gentiles do not have this demonic aspect and are in many ways similar to Jewish souls. A number of prominent Kabbalists, e.g., Rabbi Pinchas Eliyahu of Vilna, the author of Sefer ha-Brit, held that only some marginal elements in the humanity represent these demonic forces. On the other hand, the souls of Jewish heretics have much more satanic energy than the worst of idol worshippers; this view is popular in some Hasidic circles, especially Satmar Hasidim. Some later Kabbalistic works build and elaborate on these ideas. One point of view is represented by the Hasidic work Tanya (1797), in order to argue that Jews have a different character of soul: while a non-Jew, according to the author Rabbi Shneur Zalman of Liadi (b. 1745), can achieve a high level of spirituality, similar to an angel, his soul is still fundamentally different in character, but not value, from a Jewish one. 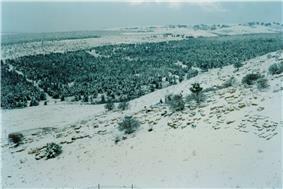 A similar view is found in early medieval philosophical book Kuzari, by Yehuda Halevi (1075-1141 AD). On the other hand, many prominent Kabbalists rejected this idea and believed in essential equality of all human souls. Menahem Azariah da Fano (1548–1620), in his book Reincarnations of souls, provides many examples of non-Jewish Biblical figures being reincarnated into Jews and vice versa; the contemporary Habad Rabbi and mystic Dov Ber Pinson teaches that distinctions between Jews and non-Jews in works such as the Tanya are not to be understood as literally referring to the external properties of a person (what religious community they are born into), but rather as referring to the properties of souls as they can be re-incarnated in any religious community. Another prominent Habad Rabbi, Abraham Yehudah Khein (b. 1878), believed that spiritually elevated Gentiles have essentially Jewish souls, "who just lack the formal conversion to Judaism", and that unspiritual Jews are "Jewish merely by their birth documents". The great 20th-century Kabbalist Yehuda Ashlag viewed the terms "Jews" and "Gentile" as different levels of perception, available to every human soul. David Halperin argues that the collapse of Kabbalah's influence among Western European Jews over the course of the 17th and 18th century was a result of the cognitive dissonance they experienced between the negative perception of Gentiles found in some exponents of Kabbalah, and their own positive dealings with non-Jews, which were rapidly expanding and improving during this period due to the influence of the Enlightenment. However, a number of renowned Kabbalists claimed the exact opposite. In their view, Kabbalah transcends the borders of Judaism and can serve as a basis of inter-religious theosophy and a universal religion. Rabbi Pinchas Elijah Hurwitz, a prominent Lithuanian-Galician Kabbalist of the 18th century and a moderate proponent of the Haskalah, called for brotherly love and solidarity between all nations, and believed that Kabbalah can empower everyone, Jews and Gentiles alike, with prophetic abilities. The works of Abraham Cohen de Herrera (1570–1635) are full of references to Gentile mystical philosophers. Such approach was particularly common among the Renaissance and post-Renaissance Italian Jews. Late medieval and Renaissance Italian Kabbalists, such as Yohanan Alemanno, David Messer Leon and Abraham Yagel, adhered to humanistic ideals and incorporated teachings of various Christian and pagan mystics. A prime representative of this humanist stream in Kabbalah was Rabbi Elijah Benamozegh, who explicitly praised Christianity, Islam, Zoroastrianism, Hinduism, as well as a whole range of ancient pagan mystical systems. He believed that Kabbalah can reconcile the differences between the world religions, which represent different facets and stages of the universal human spirituality. In his writings, Benamozegh interprets the New Testament, Hadith, Vedas, Avesta and pagan mysteries according to the Kabbalistic theosophy. For a different perspective, see Wolfson. He provides numerous examples from the 17th to the 20th centuries, which would challenge the view of Halperin cited above as well as the notion that "modern Judaism" has rejected or dismissed this "outdated aspect" of the religion and, he argues, there are still Kabbalists today who harbor this view. He argues that, while it is accurate to say that many Jews do and would find this distinction offensive, it is inaccurate to say that the idea has been totally rejected in all circles. As Wolfson has argued, it is an ethical demand on the part of scholars to continue to be vigilant with regard to this matter and in this way the tradition can be refined from within. However, as explained above, many well known Kabbalists rejected the literal interpretation of these seemingly discriminatory views. They argued that the term "Jew" was to be interpreted metaphorically, as referring to the spiritual development of the soul, rather than the superficial denomination of the individual, and they added a chain of intermediary states between "Jews" and idol worshippers, or spiritualised the very definition of "Jews" and "non-Jews" and argued that a soul can be re-incarnated in different communities (whether Jewish or not) as much as within a single one. Maimonides (12th century) rejected many of the texts of the Hekalot, particularly Shi'ur Qomah whose starkly anthropomorphic vision of God he considered heretical. Rabbi Abraham ben Moses ben Maimon, in the spirit of his father Maimonides, Rabbi Saadiah Gaon, and other predecessors, explains at length in his book Milhhamot HaShem that the Almighty is in no way literally within time or space nor physically outside time or space, since time and space simply do not apply to His Being whatsoever. This is in contrast to certain popular understandings of modern Kabbalah which teach a form of panentheism, that His 'essence' is within everything. Around the 1230s, Rabbi Meir ben Simon of Narbonne wrote an epistle (included in his Milhhemet Mitzvah) against his contemporaries, the early Kabbalists, characterizing them as blasphemers who even approach heresy. He particularly singled out the Sefer Bahir, rejecting the attribution of its authorship to the tanna R. Nehhunya ben ha-Kanah and describing some of its content as truly heretical. 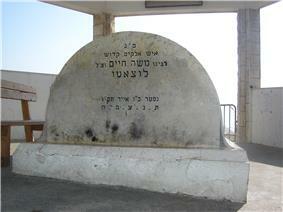 Rabbi Yitzchak ben Sheshet Perfet (The Rivash), 1326–1408. Although as is evident from his response on the topic (157) the Rivash was skeptical of certain interpretations of Kabbalah popular in his time, it is equally evident that overall he did accept Kabbalah as received Jewish wisdom, and attempted to defend it from attackers. To this end he cited and rejected a certain philosopher who claimed that Kabbalah was "worse than Christianity", as it made God into 10, not just into three. Most followers of Kabbalah have never followed this interpretation of Kabbalah, on the grounds that the concept of the Christian Trinity posits that there are three persons existing within the Godhead, one of whom became a human being. In contrast, the mainstream understanding of the Kabbalistic Sefirot holds that they have no mind or intelligence; further, they are not addressed in prayer and they cannot become a human being. They are conduits for interaction, not persons or beings. Nonetheless, many important poskim, such as Maimonidies in his work Mishneh Torah, prohibit any use of mediators between oneself and the Creator as a form of idolatry. 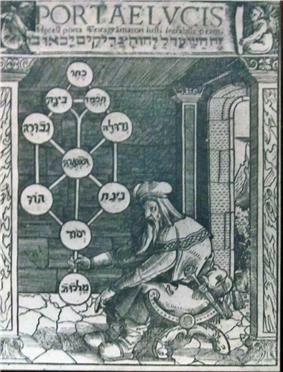 Rabbi Leone di Modena, a 17th-century Venetian critic of Kabbalah, wrote that if we were to accept the Kabbalah, then the Christian trinity would indeed be compatible with Judaism, as the Trinity closely resembles the Kabbalistic doctrine of the Sefirot. This critique was in response to the knowledge that some European Jews of the period addressed individual Sefirot in some of their prayers, although the practise was apparently uncommon. Apologists explain that Jews may have been praying for and not necessarily to the aspects of Godliness represented by the Sefirot. 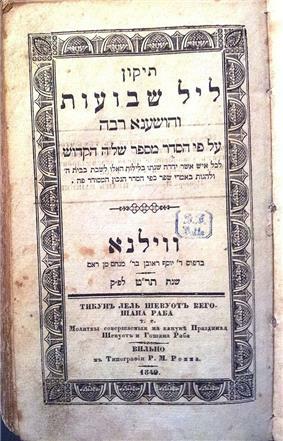 Yaakov Emden, 1697–1776, wrote the book Mitpahhath Sfarim (Veil of the Books), a detailed critique of the Zohar in which he concludes that certain parts of the Zohar contain heretical teaching and therefore could not have been written by Shimon bar Yochai. Yihhyah Qafahh, an early-20th-century Yemenite Jewish leader and grandfather of Yosef Qafih, also wrote a book entitled Milhamoth ha-Shem (Wars of the Name) against what he perceived as the false teachings of the Zohar and the false Kabbalah of Isaac Luria. He is credited with spearheading the Dor Daim who continue in Yihhyah Qafahh's view of Kabbalah into modern times. Yeshayahu Leibowitz 1903–1994, brother of Nechama Leibowitz, though Modern Orthodox in his world view, publicly shared the views expressed in R. Yihhyah Qafahh's book Milhhamoth HaShem and elaborated upon these views in his many writings. There is dispute among modern Haredim as to the status of Isaac Luria's, the Arizal's Kabbalistic teachings. While a portion of Modern Orthodox Rabbis, Dor Daim and many students of the Rambam, completely reject Arizal's Kabbalistic teachings, as well as deny that the Zohar is authoritative, or from Shimon bar Yohai, all three of these groups completely accept the existence and validity of Ma'aseh Merkavah and Ma'aseh B'resheet mysticism. Their only disagreement concerns whether the Kabbalistic teachings promulgated today are accurate representations of those esoteric teachings to which the Talmud refers. Within the Haredi Jewish community one can find both rabbis who sympathise with such a view, while not necessarily agreeing with it, as well as rabbis who consider such a view absolute heresy. Rabbis Eliyahu Dessler and Gedaliah Nadel maintained that it is acceptable to believe that the Zohar was not written by Rabbi Shimon bar Yochai and that it had a late authorship. Kabbalah tended to be rejected by most Jews in the Conservative and Reform movements, though its influences were not completely eliminated. While it was generally not studied as a discipline, the Kabbalistic Kabbalat Shabbat service remained part of liberal liturgy, as did the Yedid Nefesh prayer. Nevertheless, in the 1960s, Rabbi Saul Lieberman of the Jewish Theological Seminary of America is reputed to have introduced a lecture by Scholem on Kabbalah with a statement that Kabbalah itself was "nonsense", but the academic study of Kabbalah was "scholarship". This view became popular among many Jews, who viewed the subject as worthy of study, but who did not accept Kabbalah as teaching literal truths. However, in the late 20th century and early 21st century there has been a revival in interest in Kabbalah in all branches of liberal Judaism. The Kabbalistic 12th-century prayer Anim Zemirot was restored to the new Conservative Sim Shalom siddur, as was the B'rikh Shmeh passage from the Zohar, and the mystical Ushpizin service welcoming to the Sukkah the spirits of Jewish forbearers. Anim Zemirot and the 16th-century mystical poem Lekhah Dodi reappeared in the Reform Siddur Gates of Prayer in 1975. All Rabbinical seminaries now teach several courses in Kabbalah—in Conservative Judaism, both the Jewish Theological Seminary and the Ziegler School of Rabbinical Studies of the University of Judaism in Los Angeles have full-time instructors in Kabbalah and Hasidut, Eitan Fishbane and Pinchas Geller, respectively. In the Reform movement Sharon Koren teaches at the Hebrew Union College. Reform Rabbis like Herbert Weiner and Lawrence Kushner have renewed interest in Kabbalah among Reform Jews. At the Reconstructionist Rabbinical College, the only accredited seminary that has curricular requirements in Kabbalah, Joel Hecker is the full-time instructor teaching courses in Kabbalah and Hasidut. The Reconstructionist movement, under the leadership of Arthur Green in the 1980s and 1990s, and with the influence of Zalman Schachter Shalomi, brought a strong openness to Kabbalah and hasidic elements that then came to play prominent roles in the Kol ha-Neshamah siddur series. The traditional method, employed among Jews since the 16th century, continues in learned study circles. Its prerequisite is to either be born Jewish or be a convert and to join a group of kabbalists under the tutelage of a rabbi, since the 18th century more likely a Hasidic one, though others exist among Sephardi-Mizrachi, and Lithuanian Rabbinic scholars. Beyond elite, historical esoteric kabbalah, the public-communally studied texts of Hasidic thought explain kabbalistic concepts for wide spiritual application, through their own concern with popular psychological perception of Divine Panentheism. In recent times, many Orthodox Jewish outreach organisations for secular Jews teach Kabbalistic and Hasidic texts. A second, new universalist form, is the method of modern-style Jewish organisations and writers, who seek to disseminate kabbalah to every man, woman and child regardless of race or class, especially since the Western interest in mysticism from the 1960s. These derive from various cross-denominational Jewish interests in kabbalah, and range from considered theology to popularised forms that often adopt New Age terminology and beliefs for wider communication. These groups highlight or interpret kabbalah through non-particularist, universalist aspects. A third way are non-Jewish organisations, mystery schools, initiation bodies, fraternities and secret societies, the most popular of which are Freemasonry, Rosicrucianism and the Golden Dawn, although hundreds of similar societies claim a kabbalistic lineage. These derive from syncretic combinations of Jewish kabbalah with Christian, occultist or contemporary New Age spirituality. As a separate spiritual tradition in Western esotericism since the Renaissance, with different aims from its Jewish origin, the non-Jewish traditions differ significantly and do not give an accurate representation of the Jewish spiritual understanding (or vice-versa). Fourthly, since the mid-20th century, historical-critical scholarly investigation of all eras of Jewish mysticism has flourished into an established department of university Jewish studies. Where the first academic historians of Judaism in the 19th century opposed and marginalised kabbalah, Gershom Scholem and his successors repositioned the historiography of Jewish mysticism as a central, vital component of Judaic renewal through history. Cross-disciplinary academic revisions of Scholem's and others' theories are regularly published for wide readership. Bnei Baruch is a group of Kabbalah students, based in Israel. Study materials are available in over 25 languages for free online or at printing cost. Michael Laitman established Bnei Baruch in 1991, following the passing of his teacher, Rabbi Ashlag's son Rav Baruch Ashlag. Laitman named his group Bnei Baruch (sons of Baruch) to commemorate the memory of his mentor. The teaching strongly suggests restricting one's studies to 'authentic sources', kabbalists of the direct lineage of master to disciple. The Kabbalah Society, run by Warren Kenton, an organisation based instead on pre-Lurianic Medieval Kabbalah presented in universalist New Age syncretic style. In contrast, traditional kabbalists read earlier kabbalah through later Lurianism and the systemisations of 16th-century Safed. "By being equipped with the nonlinear concepts of dialectical, psychoanalytic, and deconstructive thought we can begin to make sense of the kabbalistic symbols in our own time. So equipped, we are today probably in a better position to understand the philosophical aspects of the kabbalah than were the kabbalists themselves." From the early 20th century, Neo-Hasidism expressed a non-Orthodox Jewish interest in Jewish mysticism, becoming organisational among Conservative, Reform and Reconstructionalist Jewish denominations from the 1960s, through Jewish Renewal and the Chavurah movement. The writings and teachings of Zalman Schachter-Shalomi, Arthur Green, Lawrence Kushner, Herbert Weiner and others, has sought a Kabbalistic and Hasidic study and spirituality among modernist Jews. Arthur Green's translations from the religious writings of Hillel Zeitlin conceive the latter to be a precursor of contemporary neo-Hasidism. "Hasidic thought instructs in the predominance of spiritual form over physical matter, the advantage of matter when it is purified, and the advantage of form when integrated with matter. The two are to be unified so one cannot detect where either begins or ends, for 'the Divine beginning is implanted in the end and the end in the beginning' (Sefer Yetzira 1:7). The One God created both for one purpose – to reveal the holy light of His hidden power. Only both united complete the perfection desired by the Creator." "Due to the alienation from the 'secret of God' [i.e. Kabbalah], the higher qualities of the depths of Godly life are reduced to trivia that do not penetrate the depth of the soul. When this happens, the most mighty force is missing from the soul of nation and individual, and Exile finds favor essentially... We should not negate any conception based on rectitude and awe of Heaven of any form—only the aspect of such an approach that desires to negate the mysteries and their great influence on the spirit of the nation. This is a tragedy that we must combat with counsel and understanding, with holiness and courage." ^ "קַבָּלָה". Morfix™, ™מורפיקס. Melingo Ltd. Retrieved 19 November 2014. ^ Kabbalah: A very short introduction, Joseph Dan, Oxford University Press, Chapter 1 "The term and its uses"
^ "אינסוף". Morfix™, ™מורפיקס. Melingo Ltd. Retrieved 19 November 2014. ^ "The Freedom" by Yehuda Ashlag, "Baal HaSulam"
^ Yehuda Ashlag; Preface to the Wisdom of Truth p.12 section 30 and p.105 bottom section of the left column as preface to the "Talmud Eser HaSfirot"
^ See Shem Mashmaon by Rabbi Shimon Agasi. It is a commentary on Otzrot Haim by Haim Vital. In the introduction he list five major schools of thought as to how to understand the Haim Vital's understanding of the concept of Tzimtzum. 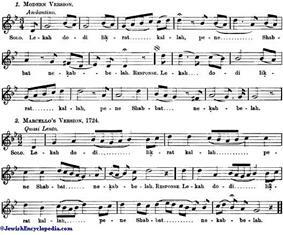 ^ See Ktavim Hadashim published by Rabbi Yaakov Hillel of Ahavat Shalom for a sampling of works by Haim Vital attributed to Isaac Luria that deal with other works. ^ Introduction to Raziel Hamalach. ^ Urbach, The Sages, pp.184ff. ^ Later, Elisha came to be considered heretical by his fellow Tannaim and the rabbis of the Talmud referred to him as Acher (אחר"The Other One"). ^ Babylonian Talmud Hagigah 14b, Jerusalem Talmud Hagigah 2:1. This translation based on Braude, Ginzberg, Rodkinson, and Streane. ^ A. W. Streane, A Translation of the Treatise Chagigah from the Babylonian Talmud Cambridge University Press, 1891. p. 83. ^ Louis Ginzberg, Elisha ben Abuyah", Jewish Encyclopedia, 1901–1906. ^ Mishneh Torah, Yesodei Torah, Chapters 2-4. ^ "Chabad, JCC offer ‘Myths and Mysteries of Judaism’". St. Louis Jewish Light,. November 9, 2011. Chabad's Jewish Learning Institute (JLI) will be partnering for the first time with the Jewish Community Center to present "Fascinating Facts: Exploring the Myths and Mysteries of Judaism," a newly developed six-session course commencing Monday, Nov. 21. Spanning a wide range of intriguing subjects, Fascinating Facts includes sessions on Jewish myth and urban legend, biblical stories and events, Jewish foods, the Hebrew language, life cycle events and mysteries of the occult. The course will address issues such as the Jewish view on Satan and the evil eye, whether angels have wings, and why pork is considered the quintessential non-kosher food. ^ Steigerwald, Shauna (November 6, 2008). "Kabbalah-based course focuses on emotional happiness". The Enquirer. This Goldstein Learning Academy Jewish Learning Institute (JLI) is offering Soul Maps, an ancient approach to human psychology... People struggle every day to understand themselves and find inner peace,” says Rabbi Yisroel Mangel of Chabad Jewish Center. “They’ve been through every book in the self-help aisle and they visit their therapist or confide in friends to sort through their feelings. What people really need is a guide to help them navigate their own complexity, and the Kabbalah has provided these tools for centuries. ^ Such as the theological novel The Town Beyond The Wall by Elie Wiesel. Norman Lamm gives a Biblical, Midrashic and Kabbalistic exegesis of it in Faith and Doubt: Studies in Traditional Jewish Thought, Ktav pub. ^ See Otzrot Haim: Sha'ar TNT"A for a short explanation. The vast majority of the Lurianic system deals only with the complexities found in the world of Atzilut as is explained in the introductions to both Otzrot Haim and Eitz Haim. ^ Joseph Dan, Kabbalah: A Very Short Introduction, Oxford, chapter on "Christian Kabbalah"
^ Love of one's Neighbour in Pinhas Hurwitz's Sefer ha-Berit, Resianne Fontaine, Studies in Hebrew Language and Jewish Culture, Presented to Albert van der Heide on the Occasion of his Sixty-Fifth Birthday, p.244-268. ^ Wolfson, E.R. Venturing Beyond: Law and Morality in Kabbalistic Mysticism, Oxford University Press, 2006, ch.1. ^ Maimonides' responsa siman (117 (Blau) / 373 (Freimann)), translated by Rabbi Yosef Qafih and reprinted in his Collected Papers, Volume 1, footnote 1 on pages 475-476. See also ibid. page 477-478 where Maimonides curses believers of Shi'ur Qomah and prays that God be elevated exceedingly beyond that which the heretics (Hebrew: הכופרים) say. ^ An Analysis of the Authenticity of the Zohar (2005), p. 39, with "Rav E" and "Rav G" later identified by the author as Rabbi Eliyahu Dessler and Rabbi Gedaliah Nadel, respectively (Dr. Marc Shapiro in Milin Havivin Volume 5 , Is there an obligation to believe that Rebbe Shimon bar Yochai wrote the Zohar?, p. יב [PDF page 133]). ^ Loc. cit. : I approached Rav A [Aryeh Carmell] with some of the questions on the Zohar, and he responded to me - "and what about nikud? Nikud is also mentioned in the Zohar despite the fact that it [is] from Geonic times!" he said. I later found this comment in the Mitpachas Seforim. I would just add that not only is nikud mentioned, but only the Tiberian Nikkud - the norm in Europe of the middle ages - is mentioned and not the Yerushalmi nikud or the Babylonian one — which was used then in the Middle East, and is still used by Yemenites today. Also the Taamay Hamikrah - the trop - are referred to in the Zohar - only by their Sefardi Names. Rav A told me a remarkable piece of testimony: "My rebbe (this is how he generally refers to Rav E [Elijah Dessler]) accepted the possibility that the Zohar was written sometime in the 13th century." ^ Loc. cit. : Rav G [Gedaliah Nadel] told me that he was still unsure as to the origin and status of the Zohar, but told me it was my absolute right to draw any conclusions I saw fit regarding both the Zohar and the Ari. ^ "The Teaching of the Kabbalah and Its Essence" by Rabbi Yehuda Ashlag, the "Baal HaSulam"
Dan, Joseph; The Early Jewish Mysticism, Tel Aviv: MOD Books, 1993. Dan, Joseph; The Heart and the Fountain: An Anthology of Jewish Mystical Experiences, New York: Oxford University Press, 2002. Dan, Joseph; "Samael, Lilith, and the Concept of Evil in Early Kabbalah", AJS Review, vol. 5, 1980. Dan, Joseph; The 'Unique Cherub' Circle, Tübingen: J.C.B. Mohr, 1999. Dan, J. and Kiener, R.; The Early Kabbalah, Mahwah, N.J.: Paulist Press, 1986. Dennis, G.; The Encyclopedia of Jewish Myth, Magic, and Mysticism, St. Paul: Llewellyn Worldwide, 2007. Fine, Lawrence, ed. Essential Papers in Kabbalah, New York: NYU Press, 1995. Fine, Lawrence; Physician of the Soul, Healer of the Cosmos: Isaac Luria and his Kabbalistic Fellowship, Stanford: Stanford University Press, 2003. Fine, Lawrence; Safed Spirituality, Mahwah, N.J.: Paulist Press, 1989. Fine, Lawrence, ed., Judaism in Practice, Princeton N.J.: Princeton University Press, 2001. Green, Arthur; EHYEH: A Kabbalah for Tomorrow. Woodstock: Jewish Lights Publishing, 2003. Hecker, Joel; Mystical Bodies, Mystical Meals: Eating and Embodiment in Medieval Kabbalah. Detroit: Wayne State University Press, 2005. Levy, Patrick, HaKabbalist, edi. Yael, Tel Aviv 2010.Author's website. Idel, Moshe; Kabbalah: New Perspectives. New Haven and London: Yale University Press, 1988. Idel, Moshe; The Golem: Jewish Magical and Mystical Traditions on the Artificial Anthropoid, New York: SUNY Press, 1990. Idel, Moshe; Hasidism: Between Ecstasy and Magic, New York: SUNY Press, 1995. Idel, Moshe; Kabbalistic Prayer and Color, Approaches to Judaism in Medieval Times, D. Blumenthal, ed., Chicago: Scholar's Press, 1985. Idel, Moshe; The Mystica Experience in Abraham Abulafia, New York, SUNY Press, 1988. Idel, Moshe; Kabbalah: New Perspectives, New Haven, Yale University Press, 1988. Idel, Moshe; Magic and Kabbalah in the 'Book of the Responding Entity'; The Solomon Goldman Lectures VI, Chicago: Spertus College of Judaica Press, 1993. Idel, Moshe; "The Story of Rabbi Joseph della Reina"; Behayahu, M. Studies and Texts on the History of the Jewish Community in Safed. Kaplan, Aryeh; Inner Space: Introduction to Kabbalah, Meditation and Prophecy. Moznaim Publishing Corp 1990. Samuel, Gabriella; "The Kabbalah Handbook: A Concise Encyclopedia of Terms and Concepts in Jewish Mysticism". Penguin Books 2007. Scholem, Gershom; Major Trends in Jewish Mysticism, 1941. Scholem, Gershom; Jewish Gnosticism, Merkabah Mysticism, and the Talmudic Tradition, 1960. Scholem, Gershom; Sabbatai Zevi, the Mystical Messiah, 1973. Scholem, Gershom; Kabbalah, Jewish Publication Society, 1974. Wineberg, Yosef; Lessons in Tanya: The Tanya of R. Shneur Zalman of Liadi (5 volume set). Merkos L'Inyonei Chinuch, 1998. Wirszubski, Chaim; Pico della Mirandola's Encounter with Jewish Mysticism, Harvard University Press, 1989. Wolfson, Elliot; Through a Speculum That Shines: Vision and Imagination in Medieval Jewish Mysticism, Princeton: Princeton University Press, 1994. Wolfson, Elliot; Language, Eros Being: Kabbalistic Hermeneutics and Poetic Imagination, New York: Fordham University Press, 2005. Wolfson, Elliot; Venturing Beyond: Law and Morality in Kabbalistic Mysticism, Oxford: Oxford University Press, 2006. Wolfson, Elliot; Alef, Mem, Tau: Kabbalistic Musings on Time, Truth, and Death, Berkeley: University of California Press, 2006. Wolfson, Elliot; Luminal Darkness: Imaginal Gleanings From Zoharic Literature, London: Onworld Publications, 2007.